Campagnolo Record, Chorus and Daytona/Centuar all have virtually identical internal components. The bearings are the same; no difference, NADA! We go to great lengths to keep all Record, Chorus and Centaur/Daytona hubs in stock all the time. However, Record hubs are gone until the black 2007 version arrives. For Centaur, I have 32 hole only. 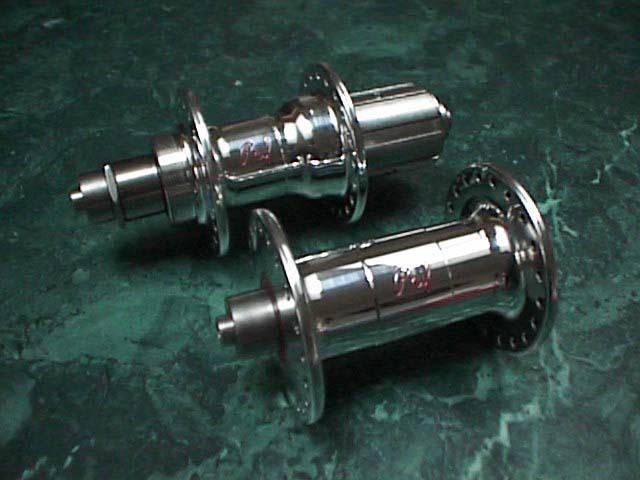 For 2007, Campagnolo has discontinued most of their hubs. They'll be selling a revised Record hubset, in ugly black only, and they'll be selling some low grade junk with familiar names. For example, there's a new Centaur labeled hub, but it's indescribably bad. You couldn't pay me enough to build a wheel on one. But the really nice Chorus and Centaur hubs are no longer made. I've been scouring the distributors and buying up all of the older hubs I can find, so I'll have them for a little while. Parts will be available for a long time, so don't worry about that. And they're so well made, it shouldn't ever be an issue anyway. Rest assured that I'll never sell you a junky low end Campy hub. If you see it listed here, it's top quality. I think Campy just wants to sell their over-priced wheels and doesn't want competition from outside wheelbuilders. But when the day comes when the only wheels you can buy that work with Campy derailleurs are Campy's own boutique baubbles and bangles, even more people will switch to Shimano. 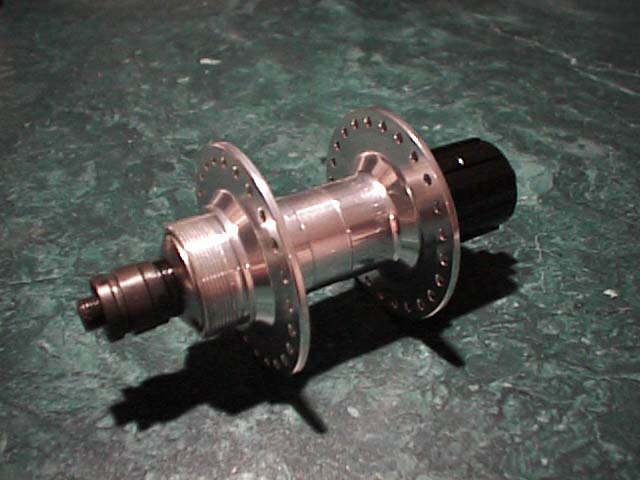 If you just want a well made hub to take Campy cassettes, I also have the Velocity hub below. It's only in black, and it's not as high quality, but it's an excellent hub for the money. If you want a truly top quality hub for Campy or Shimano cassettes, I also have the White Industries H1 hubs in stock.